Amazon Prime has acquired the streaming rights of Rajinikanth, Akshay Kumar and Amy Jackson’s upcoming sci-fi film 2.0. The film marks Kumar’s debut in South Indian cinema and will be released in three languages — Telugu, Tamil and Hindi. Therefore, subscribers of Amazon Prime will be able to stream the film in all three languages after its release. The film is a sequel of the 2010 film Enthiran, and is easily one of the most awaited films of 2018. 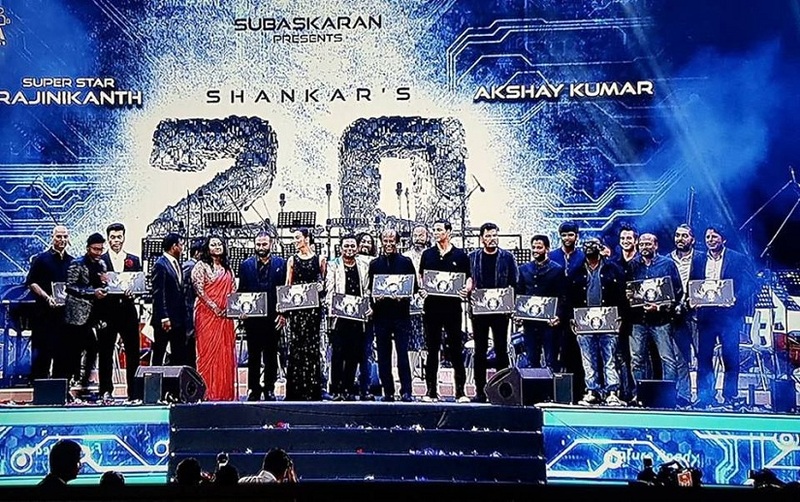 A grand audio launch was held at Dubai’s Burj Khalifa on 27 October. 2.0 will see Rajinikanth play a double role and Akshay Kumar play the antagonist called Dr Richard. Directed by Shankar, the sequel reportedly costs thrice as much as the first film. Reportedly made on a mammoth budget of Rs 450 crores, the film was initially slated to be released on the Diwali weekend this year. However, according to several reports, the visual effects were taking longer than expected and ultimately, the film had to be pushed to the Republic Day weekend of 2018. The streaming rights of 2.0, which is reportedly made on a mammoth budget of Rs 450 crores could enable Amazon to gain a strong foothold in Indian cinema.